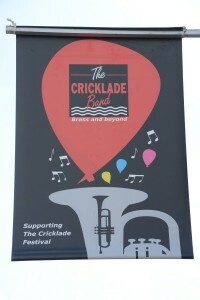 Each year, one of the highlights of the Festival has to be the glorious display of flags that are hung from the lampposts up and down the High Street. 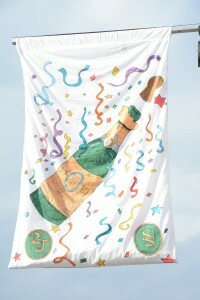 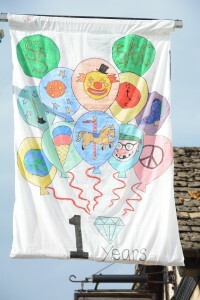 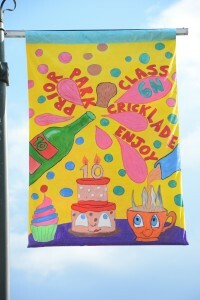 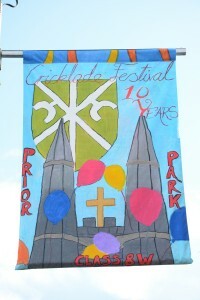 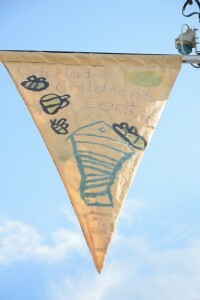 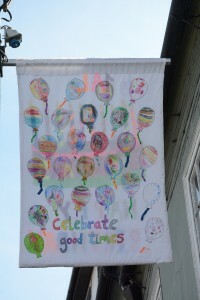 The flags are made especially for the Festival by school children and local groups and organisations. 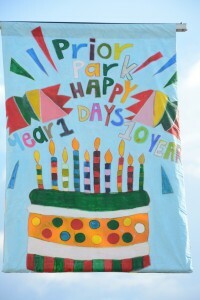 The effort that goes into making these each year never ceases to astound us! 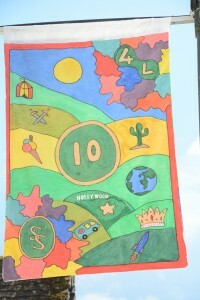 If you would like to make a flag there are a few guidelines that you can find here. 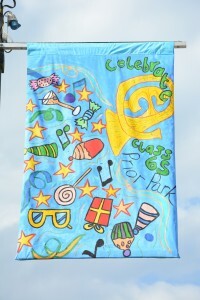 Here are just a few examples of some that have been made recently.